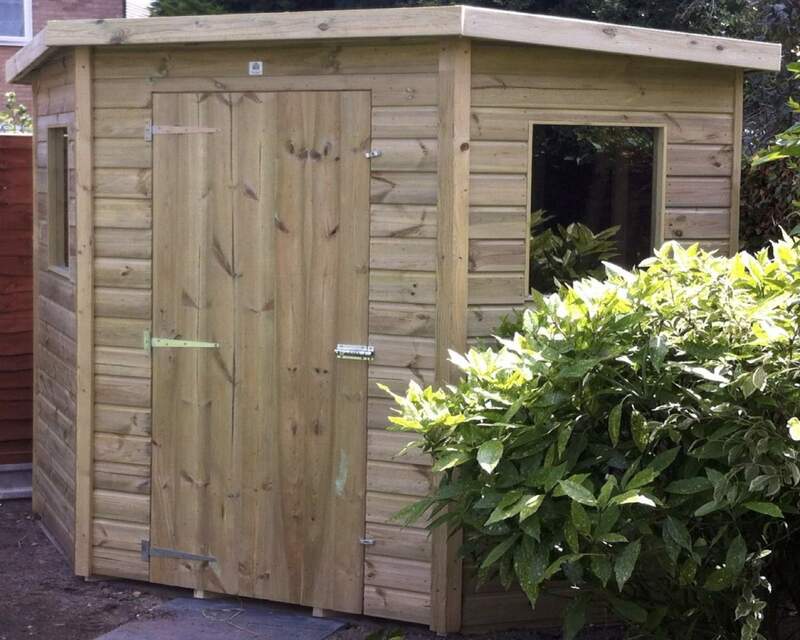 Whether you’ve got a large extensive garden, or small neatly defined outdoor area, a corner shed is a perfect addition that will provide much-needed storage space without interrupting the fluidly of your outdoor space. You can check out if you're entitled to free delivery on our delivery page. 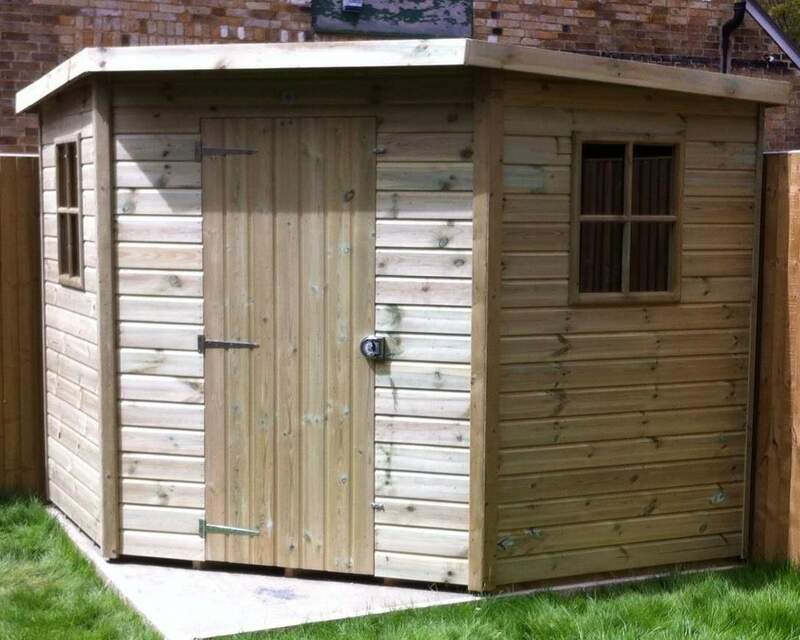 Are you undecided on whether a corner shed is perfect for your outdoor space? Understanding the types of sheds available is key to knowing whether you've made the right decision. Whether your corner shed is designed to be a storage haven, a workshop for DIY projects or a retreat for you or your young ones, our corner sheds have been manufactured with high quality, 100% pressure treated timber and can be professionally assembled for maximum longevity. You’ll have peace of mind knowing your corner shed is protected against rot and decay, making sure it looks great year after year. If you’re looking for something a little bit more unique, you can customise your corner shed with a number of optional features to make it completely bespoke for you and your needs. Don’t neglect your corner shed over the winter months, you can still optimise its use over the colder seasons and great a warm hideout for you and the family. If you want to find out more information on our corner sheds, please don’t hesitate to contact us on 01233 822042 or get in touch online.